Hveragerdi in South West Iceland sits on the Varma river and is a geothermal hot spot, with steam rising from fumeroles right in the middle of town. 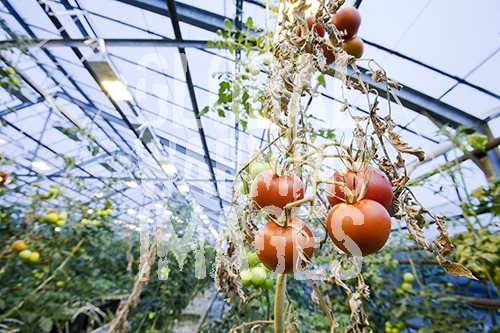 It has been used for nearly 100 years for growing vegetables in greenhouses using the geothermal heat. Here tomatoes are grown all year round using geothermal heat.